Other photos: Photo 1, Photo 2, Photo 3, Photo 4, Photo 5, Photo 6, Photo 7, Photo 8, Photo 9, Photo 10, Photo 11, Photo 12, Photo 13, Photo 14, Photo 15, Photo 16, Manufacturer Provided Image. 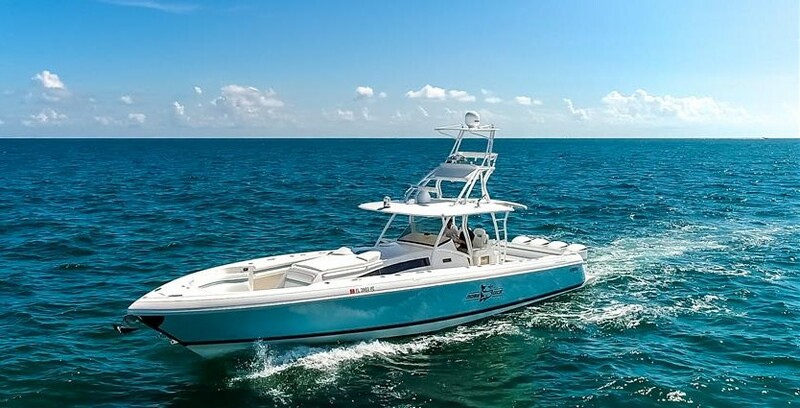 This boat is basically brand new and is loaded with options. Any bugs that come with any new boat have been worked out. Why wait for a new vessel? This one has 85 hours of time on her and is essentially new. Owner has the vessel on his lift and is very meticulous. This one has the side door, bow thruster, best engine package. She really draws a lot of attention with the tan upholstery. Trailer is available but is not included in price. Additional details to come. SYS Yacht Sales is pleased to assist you in the purchase of this vessel. This boat is centrally listed by Waterfront Yacht Brokerage.